Going on Summer Vacation? Don’t forget your toothbrush! School is out for summer! It is time to have fun at the pool, relax with the family, and for many people, go on vacations! 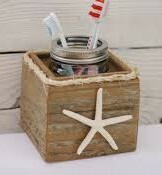 Whether you are going to the beach or the mountains this year, remember to bring your dental hygiene aids with you! Vacation doesn’t prevent cavities! Here at Adams and Cheek Dentistry, we all love our electric toothbrushes! If you do bring your electric toothbrush with you, make sure you bring it home as well. We hear plenty of stories about electric toothbrushes or night guards being left somewhere that is not home. Protect your dental investments in and out of your mouth by bringing disposable travel toothbrushes, toothpaste and floss, or making a reminder for yourself to not leave them behind! The toothbrushes and samples you receive at your recall appointments are great sizes to bring on vacation! If you bring your night guard or electric toothbrush with you on vacation, make sure to leave them in a visible place so you are less likely to leave them behind. Setting a reminder on your phone for the last day of your vacation is also a good way to ensure you won’t forget them! Happy Summer from all of us here at Adams and Cheek Dentistry! Summer is a great time to get in for a dental appointment! Call us at (919)866-1360 or click here to make your appointment today. PreviousPrevious post:Why Am I Grinding My Teeth?NextNext post:Xylitol Chewing Gum is a Great Oral Hygiene Aid!